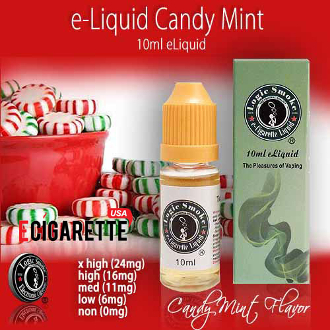 Our Mint Candy e liquid from Logic Smoke is just what you're looking for if you've been in search of the perfect minty addition to your e-liquid collection. It is a fresh, crisp peppermint flavor that is reminiscent of the starlight peppermint candies from childhood. It's great alone and even better when added to your favorite flavors such as Coffee or Chocolate Creme.